The rising demand for socially responsible investment (SRI) options has sparked renewed interest in niche ‘ethical’ funds, according to Anglican Pension Board general manager, Mark Wilcox. Wilcox said the Anglican Pension Board – which runs about $200 million across several funds, including the almost $40 million Koinonia KiwiSaver scheme – is looking to “leverage” its ethical investing brand across like-minded Christian groups and individuals. As well as holding out big hopes for Koinonia, he said the Anglican investment scheme is reaching out to other Christian-tinted institutional investors. In the retail space, the Anglican Pension Board opened the super fund – originally devised about 45 years ago to support retired clergy – to the broader congregation while the Koinonia KiwiSaver has a fairly substantial potential membership base despite its official restricted scheme classification. As at March 31 last year, Koinonia reported 1,576 members. Wilcox said media coverage last year around the exposure of KiwiSaver schemes to cluster munitions firms helped raise public interest in ethical investing, which could see a flow-on benefit for Koinonia. Unlike some schemes caught in the media outcry, “we’ve always know what we’ve invested in”, Wilcox said, with a large component of direct holdings and international equities exposure via a screened “tracker fund”. The scheme uses a European SRI specialist research house to screen investments while also tapping into global corporate “engagement” processes via the UK-based Church Investors Group. Wilcox said the Anglican NZ scheme was about to upgrade its SRI credentials with a $3 million investment in a European-based “energy transition fund”. Later this year, he said the scheme would also invest in an “ethical global bond fund”, offered by one of its current international fixed income providers. According to disclosure documents, the Anglican funds invest in global bonds via PIMCO and the Legg Mason-distributed Brandywine. 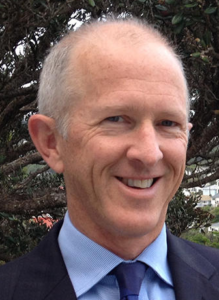 On the governance front, last month the NZ Anglican Church Pension Board named former Westpac chief economist, Brendan O’Donovan as the new licensed independent trustee (LIT), replacing Helen McKenzie. O’Donovan is currently a specialist monetary policy and financial stability adviser to the Parliamentary Finance and Expenditure Committee. He took over from McKenzie, who was first appointed in May 2016. Wilcox said O’Donovan – who also performs LIT duties for the Medical Assurance Society Retirement Savings Plan and is director of The Co-operative Bank – would help the fund continue to grow. “The Pension Board has extended its core service offering of superannuation and investment administration services to the wider Church in recent times and will continue to do so into the future,” he said in a statement. Under the Financial Market Conduct Act (FMC) all restricted schemes are required to include an LIT board member. About 100 entities, including over 80 workplace savings schemes that survived the FMC cull, would need an LIT in the new regime. While the population was slow to take off, the Financial Market Authority (FMA) currently lists 35 LITs, including three ‘corporate’ trustees – namely Guardian, Public Trust and Trustees Executors. Other recent LIT appointments include Ian Russon to the Presbyterian Beneficiary Fund board. Russon, who resigned his role as BNZ head of public sector in February, also took on directorships at two of the country’s largest employer schemes – Unisaver and the Police Superannuation fund – in the same month.